Patients with severe carpal tunnel symptoms often become desperate in their search for a cure. Most patients with chronic diseases fall prey to this—looking for the one answer, the one magic pill or magic bullet that will rid them of all their troubles now and forever. In carpal tunnel care, you may have looked for the magic splint, the best surgeon, the one exercise, or the one vitamin or herb or magnet to find relief for your pain. As carpal tunnel symptoms worsen, affecting not only our daily lives and even our jobs, the urgency to find the one thing becomes greater and greater. It’s no wonder there’s no shortage of promises and potions out there to deliver you the magic bullet. Perhaps you could look at this problem in another way? Not the one thing that has thus far eluded you, but rather the many things you’ve found difficult to face and take care of, the things that may prevent problems but only if you faithfully adhere to them. What I’m getting at is this: there are many pieces to the carpal tunnel puzzle and you can think of hand pain more of as a signal that the final straw that is finally breaking the camel’s back. Yes, it is true that those with vitamin deficiencies get more nerve symptoms and taking B6 can help some people with their symptoms. But B6 is part of the B-complex that we should be getting every day in our diets. Whether you have symptoms or not, you should be eating right, and that means lots of vegetables. 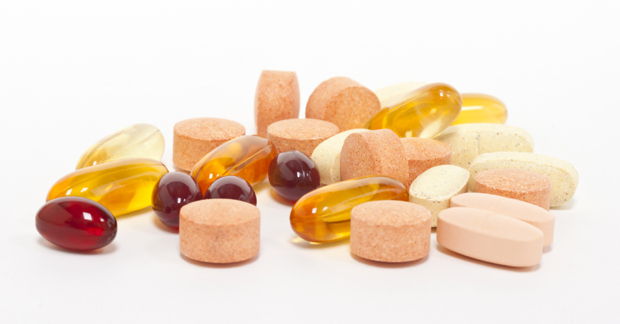 Most of us will benefit from correcting our lack of vitamin intake by taking different vitamins in supplement form. Or maybe we are overweight; it’s true of 60% of Americans. We need to maintain an ideal weight whether or not our hands hurt. Or perhaps we have a neck problem that we are not addressing. Sometimes neck problems cause hand pain and sometimes they do not. Whether or not the neck itself is causing your hand to hurt, you should get your neck fixed so that movements are free and symmetrical. Lastly, exercise and stretching should be party of everyone’s daily routine, not just those with hand symptoms.